Discovery is headed off to the races once again. This week, the network announced a new season of Fat N’ Furious: Rolling Thunder will premiere in May. The reality series follows an Ohio-based auto shop that restores muscles cars for races. 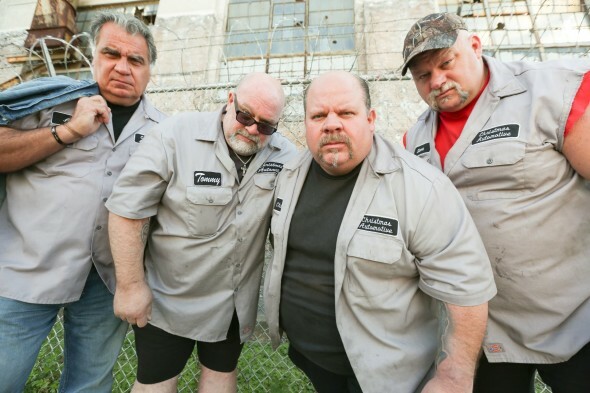 Season two of Fat N’ Furious: Rolling Thunder premieres on May 2nd at 8 p.m. ET/PT. It’s the start of a new racing season in the rustbelt of Ohio and once again, Tommy Christmas and his boys at Christmas Auto are back at it, restoring old, beat-up muscle cars and getting ’em on the drag strip. The series returns to Discovery’s Motor Mondays on May 2 at 8pm ET/PT. What do you think? Have you seen Fat N’ Furious: Rolling Thunder? Will you watch the new season? More about: Discovery Channel TV shows: canceled or renewed?, Fat N' Furious: Rolling Thunder, Fat N' Furious: Rolling Thunder: canceled or renewed? Iam considering the possibility of them finding & restoring a 1968 Dodge Charger R/T,with a H.P.,440engine, automatic transmission,possible matching #s,etc.etc.Just like if it came from the dealer. One of the best shows on TV. Great family entertainment. I would like to see a all day marathon starting from the first show ending with the last show recorded. Does anyone know if the episodes are available on a box set?